The filament of this lamp is made from drawn tungsten wire, produced according to the process developed by William Coolidge at GE in 1910. During 1911-1912 it superseded the company's earlier sintered tungsten wire. It was an equally momentous moment for the entire lighting industry as for its inventor. 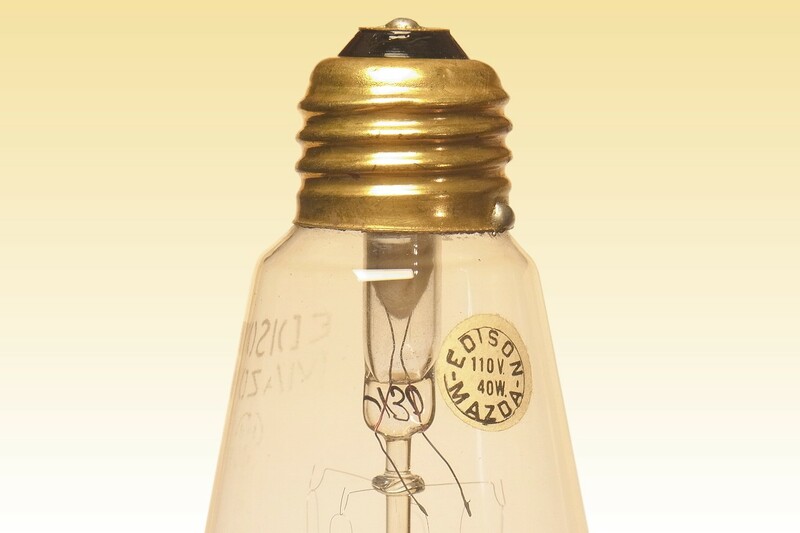 GE, formerly a leader in lamps, had been greatly weakened by European developments in the original metal filaments, which it was forced to license at vast expense. The Coolidge process made a better and cheaper tungsten wire, and put GE back in the dominant position of controlling pracially every other lampmaker worldwide via its patents. 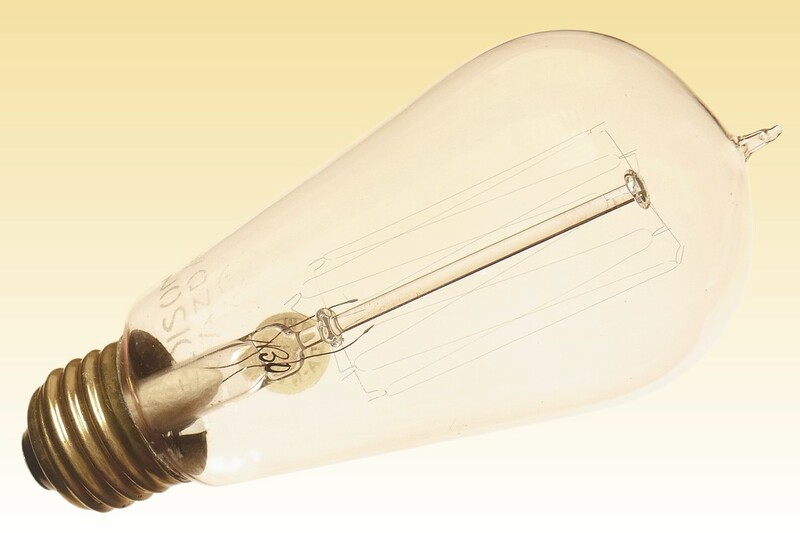 The squirrel-cage filament is supported under tension by fine molybdenum wires at both ends, but unusually for a metal filament lamp it has been attached to the flattened ends of the lead-in wires by an adhesive paste similar to that used for carbon filaments, instead of clamping or welding. 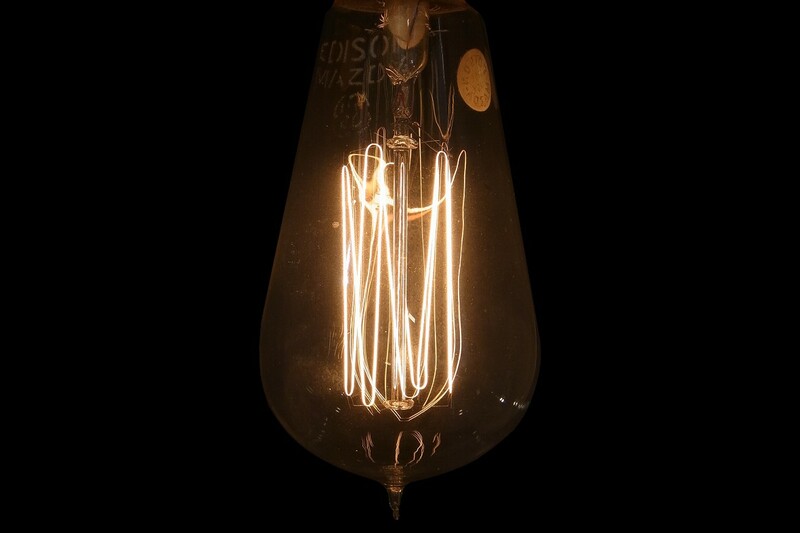 This was not used on earlier or later lamps of the company, and was perhaps used temporarily to avoid splitting of the drawn tungsten wire. Another possibility is that the paste has a function as a getter to improve lamp life and/or lumen maintenance - although it is normally desirable to avoid contact of the getter with the filament. This is also one of the first lamps to feature another GE invention, of Colin Fink's 'Dumet' wire in the glass-to-metal seals of the stem. 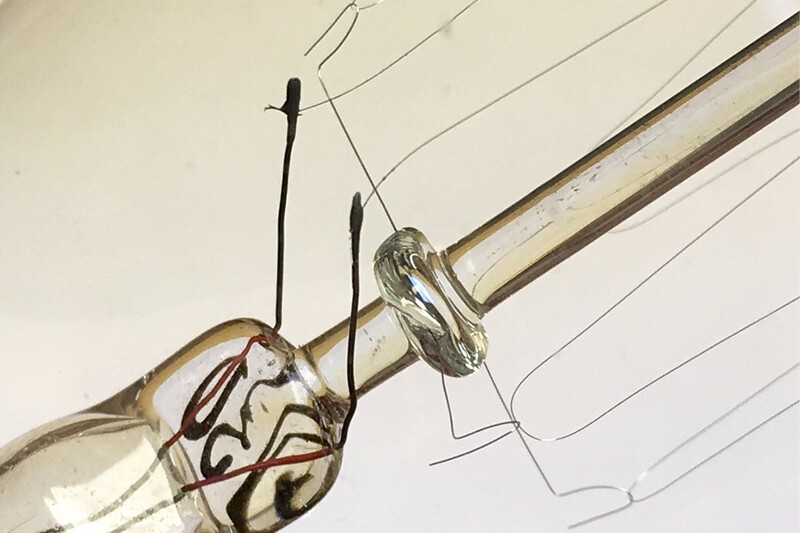 This composite wire of a copper plated core of 45% nickel-iron forms a hermetic vacuum-tight seal to the glass, and from 1913 displaced the costly platinum wires that were used previously. This lamp uses an improved borate-coated dumet, patented by Van Keuren in December 1913 and recognisable by the red colour wires. ﻿Manufacturer: General Electric Co. of U.S.A.
References: 1) The History of the Incandescent Lamp, J. Howell & H. Schroeder, The Maqua Press, 1927, pp.118, 159, 161. 2) GE Edison Mazda Price List, 1st November 1915, USA. 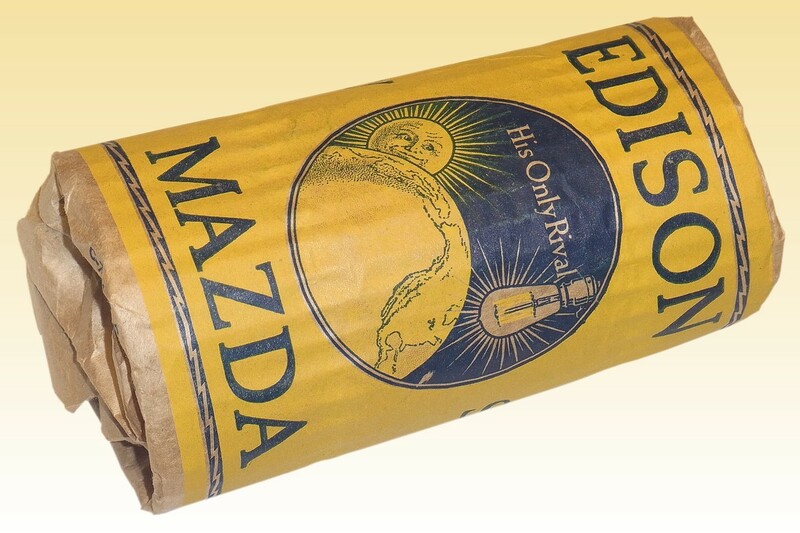 3) GE Edison Mazda Catalogue, 1st January 1916, USA.